Eevee Evolutions, sound off! 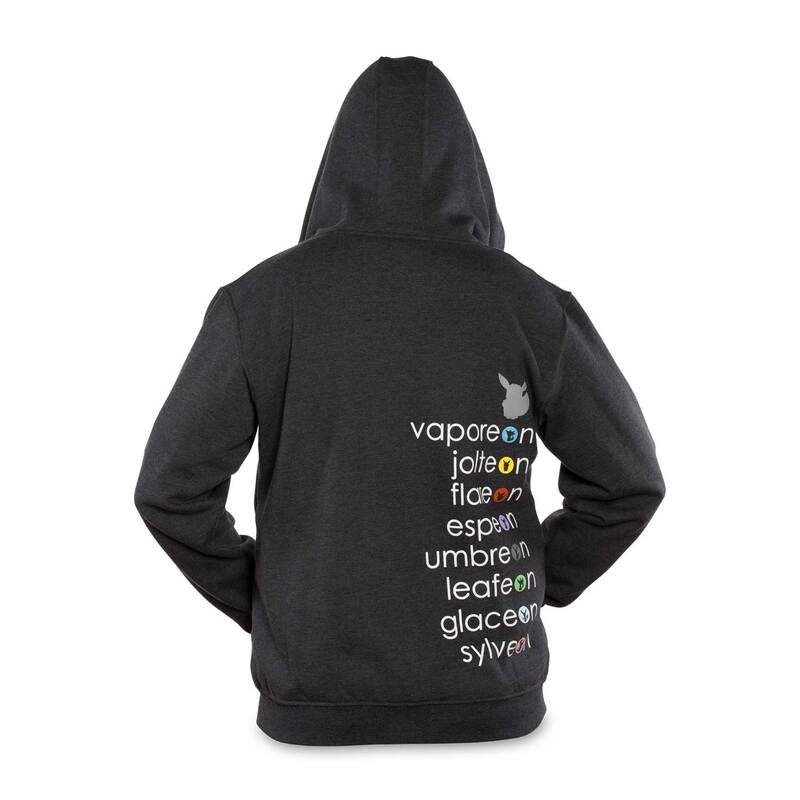 From Espeon to Sylveon and Vaporeon, each evolved form of Eevee is on the back of this thick, comfortable relaxed fit hoodie. 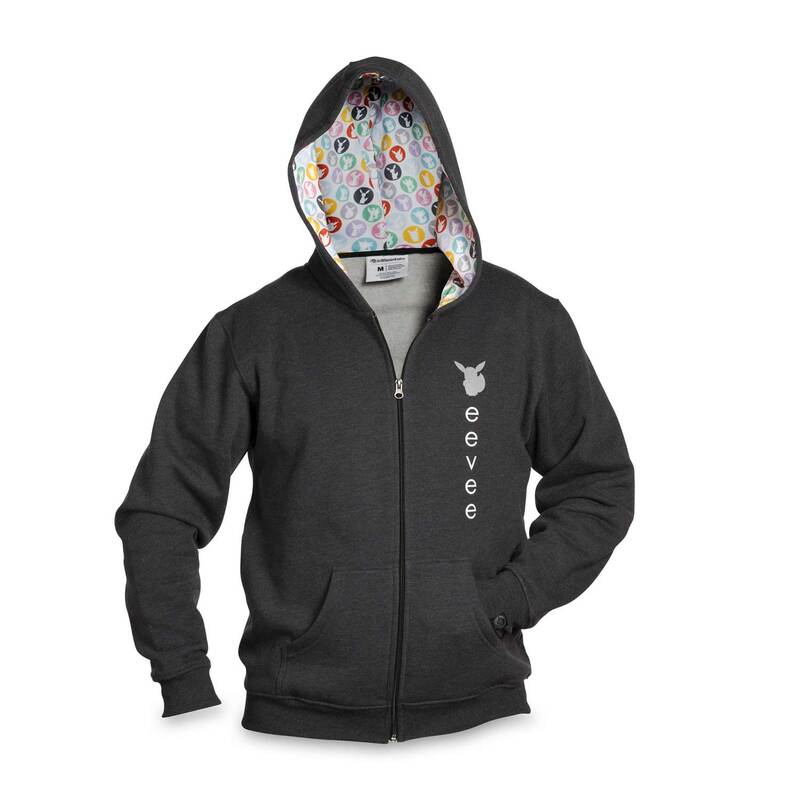 The hood itself is lined with an Eevee dot pattern, the front has two pockets and is printed with Eevee's name and silhouette. 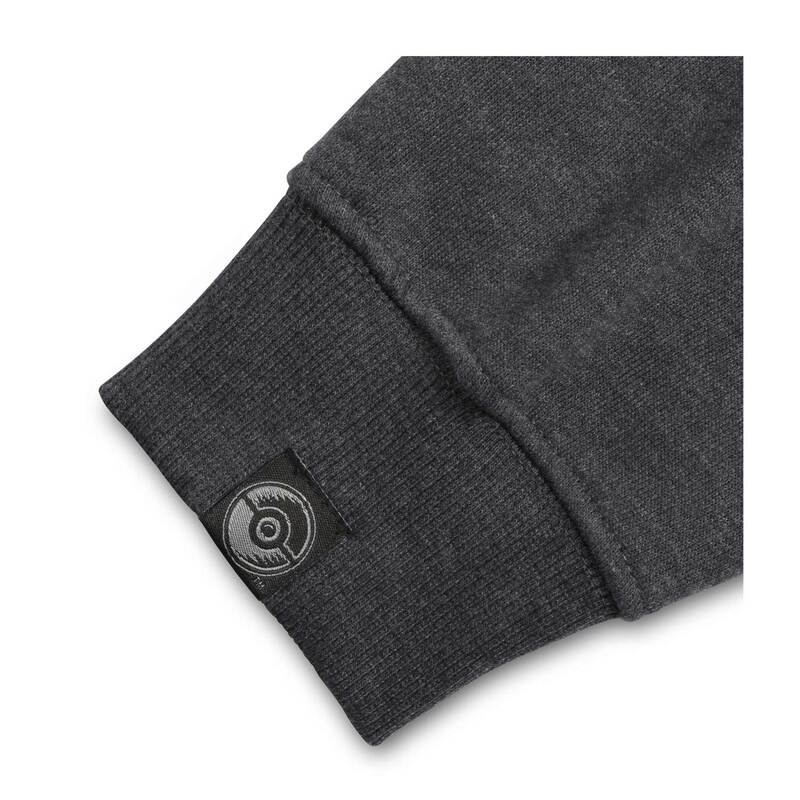 A great design, and a Pokemon Center original. An array of Eevee evolutions!